Private pools, breathtaking views, dedicated 24-hour butler service, delicious cuisine, impeccable service, and decadent suites are a few of the things that come to mind when you think of the ultimate romantic luxury vacation. Whether you are planning your honeymoon, celebrating an anniversary, or just ready for a dream-come-true romantic holiday, we’ve got something spectacular for you! Here at Ingenious Travel, we’ve always defined our “niche” as luxury travel, but I’ve found that this means different things to different people. There are some people to whom “luxury” means gilded walls, gold chandeliers, velvet covered furniture… and of course a hefty price tag. That’s not how we define luxury, and it’s not what most of our luxury travelers are looking for when it comes to their vacation. We tend to focus more on exceptional, authentic experiences, a high level of service and hospitality, and a focus on comfort and convenience. Each client’s experience is customized and personalized to their wants, needs, and expectations. 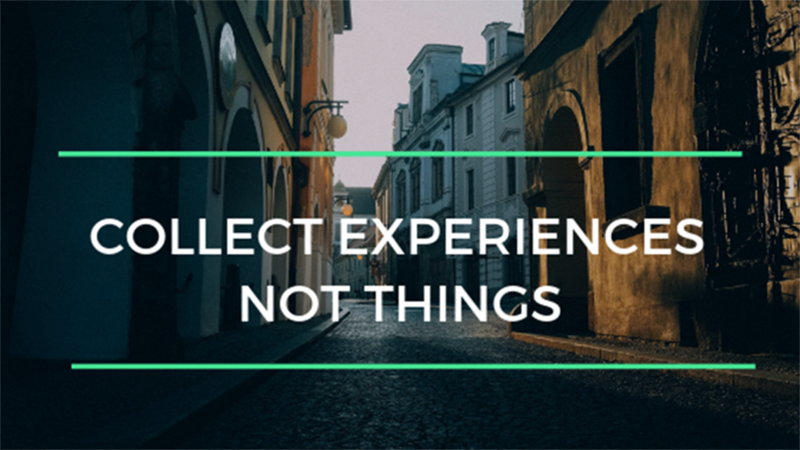 Moreover, we don’t focus solely on price because “more expensive” doesn’t always mean “better.” We look at the value rather than the price when evaluating travel experiences. While it’s true that most of our clients book exclusive cabins and high-end suites, that isn’t the case for every vacationer. We also have clients who are less selective when it comes to accommodations and choose to focus instead on activities, experiences, and dining options for their vacation. Travel Insurance – Yay or Nay? Think about the last time you rented a car. Did you take the optional insurance? Do you see that insurance as a good investment or a waste of money? It seems like a good percentage of travelers say no to this optional upgrade for a variety of reasons. The most common reasons are that they believe themselves to be a “good driver” and that they have car insurance at home that will cover them in a rental car… or that the credit card they used to pay for the rental offers additional coverage as well. I don’t have strong opinions on rental car insurance, but when it comes to travel insurance, I’m always ready to hop up on my soapbox and let my clients know what I think! I, like any travel professional worth their salt, recommend travel insurance to each and every one of my clients. Unfortunately, most travelers don’t understand what the policy covers and when they really should be spending the extra money to purchase travel insurance. As a travel professional, I value great experiences. The moments spent in awe of a beautiful view, a priceless piece of art or the wonder and pure joy on the face of a child as they experience something new and exciting are worth far more than the price of admission. We all have a limited amount of time and money, and we are often faced with the dilemma of what is the best way to spend – or to invest – both of those resources. We can choose from an endless assortment of high-tech gadgets, sparkly things, and material luxuries that will impress our friends and family… for a short time at least. Children (and some adults) have lists of the gaming systems, toys, and fashion labels they want for their next birthday or holiday gift. But once we’ve bought the latest smart phone or the expensive shoes, how long do they last? How long will they continue to bring joy? And how likely are they to be truly treasured by those around us after we are gone? Group Trip – How Do You Decide Where To Go? Recently on the blog, we talked about taking the stress out of hosting a group trip. One of the more stressful pieces of a group trip, is deciding where to go. In this post, we’ll dive a little deeper into how to make that decision. It’s hard enough choosing where to go on a vacation with your significant other, or just with your family. Throw an entire group into the mix, and suddenly you might have a plethora of conflicting opinions with everyone wanting to go somewhere different. How can you narrow the list, and choose a place that will make everyone, or at least the majority, happy? The first step is to figure out a budget for everyone who is attending. Someone in the group should act as team leader and create an anonymous survey that allows everyone to write in their ideal budget for the vacation. Why anonymous? Some people get uncomfortable talking about their true desires, and their budgets. You’re more likely to get honest answers if everything is anonymous. Travel is meant to transport you — to other places, obviously, but also sometimes to other times, other worlds, other possibilities. These four utterly incredible hotels are full of the magic, mystery, and wonder that travel embodies. These are places you might never want to leave! The Taj Palace Resort, Lake Pichola, Rajasthan, India is for the person who’s ever wondered what it was like to see the world in the Golden Age of travel. This is the place (or palace) to get a glimpse of what it feels like to be royalty. Built in the middle of a lake, this huge marble resort features opulent 1930s rooms with intricately carved archways and rooms draped in sumptuous fabrics. You can dine al fresco with a view of the surrounding mountains and the warm lights of the shoreline, and then hop on a traditional sunset boat ride with your own personal oarsman. There are, of course, thousands of possible trips out there. There are plenty of great trips to choose from — and then there are trips that are great for you. Being honest about what you want and need and getting to know your own personal travel profile can save you from the but-it-looked-great-on-paper trip disappointment. It’s no secret that many people adore traveling. It’s also not surprising that most folks can’t buy expensive trips for friends and family as gifts. However, that doesn’t mean you can’t get someone who loves to travel the perfect present. In fact, I’ve found 8 gifts for a travel enthusiast that I think you’ll agree are so good, you might just want them for yourself. You’ve probably seen these on Facebook and Instagram. A scratch-off map of the world is exactly what it sounds like. It’s literally a map of the world that you can hang on the wall that allows you to scratch off the locations you’ve been too. How fun would it be to scratch new locations as you visit them? Going on a trip with a group is a wonderful way to travel. You’ll always have someone to explore with, you get to see things as a group you might not get to on your own, it’s safer to travel in numbers, and each person in the group will bring a different perspective to the experience. For these reasons alone, the idea of hosting a group trip often comes up as a good idea for families, friends, and even companies looking to host retreats. Step 1- Decide where you want to travel to, and when you want to go. Your best bet will be to initially come up with three options for the vacation as well as three separate times to go on the vacation. This is one of the perks of being the group organizer. Because you are setting the whole thing in motion, you can pick places you want to go and times that you are available. Step 2- Consider the people you want on your group trip. Will this group getaway be for business or pleasure? If it’s pleasure only, will this event limited to friends, family or a combination of the two? Or is this more about inviting people that you have common interests with, such as a networking/hobby/wine club/golf trip? When it comes to going on vacation, the last thing most people want to think about is safety. The simple reason for that, is getting away from it all is supposed to be a carefree and fun experience. Still, the truth is that we must keep safety top of mind because we’re the only ones in charge of making sure we’ll get back home in one piece. Unfortunately, one group that is often a target for predators and criminals is senior citizens. Because of this sad fact, I thought sharing some travel safety tips for seniors would be a good idea.